The name of one French dessert that people find confusing is crème caramel. Caramel-topped custards like this are called flan in Spanish, which confounds people who come to France and see a slice of flan in a bakery, that looks like (and is) a tart baked with a flour-stiffened custard, rather than the wobbly, caramel-topped custard that some of us are used to. To confuse people further, the Breton term far is used for flan in French, such as in the case of Far Breton. 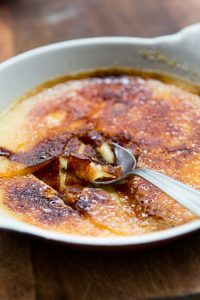 So while the nomenclature of the other desserts, from here, there and everywhere, might be confusing in France – and in French, a crème caramel – also called crème renversée, is usually what they are called in French, not flan. This was my first time baking a crème caramel, or crème renversée, in a loaf pan, which intrigued me, since I had never baked flan, I mean…crème caramel, in a rectangular pan before. 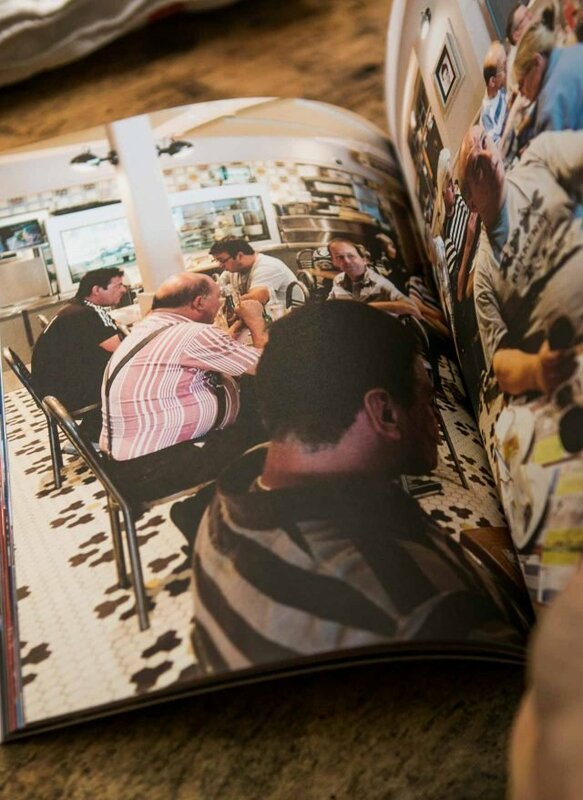 The opening of the book also lauds the restaurants as offering cuisine maison, a fairly new signifier used in France to describe a restaurant that makes the food on the premises from fresh ingredients. Flipping through the pages, I immediately saw why she recommended this book to me: It showed a side of France that’s seldom seen, or given much attention, unless you’re driving around the country and stop at a truck stop for a meal. But if you mention les routiers to a French person, many will smile with a bit of nostalgia as they probably stopped in one as a road trip as a child. 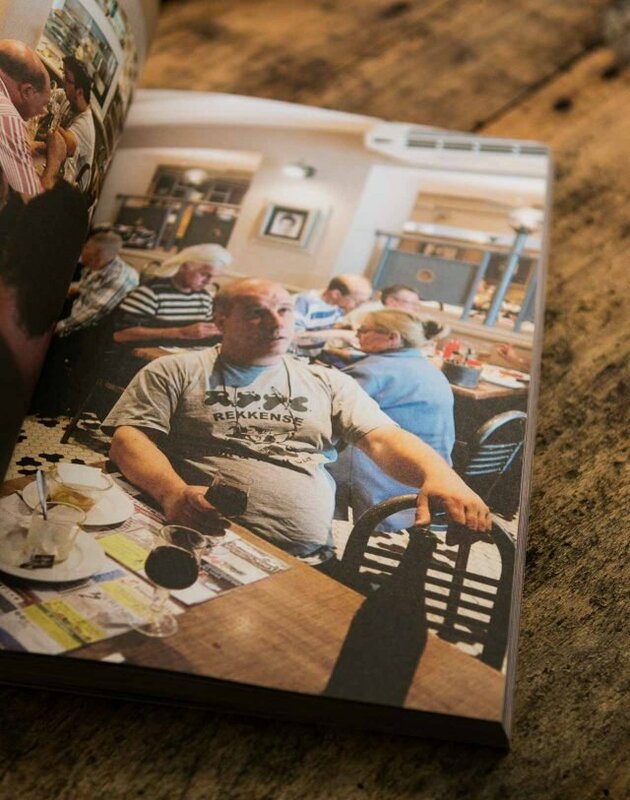 The truck drivers in France are known for liking good, hearty food, and there’s everything on the pages here. 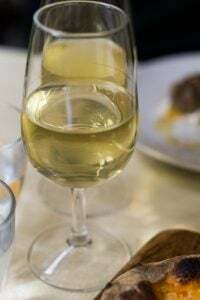 I was going to share Jambon persillé (below), long-cooked pork that’s jelled in a mold, but it called for one liter (~1qt) of wine and 2 liters of beef or chicken stock, and made two terrines, which, unless you were running a truck stop, might have a hard time finishing off. For those who like storage information, note there’s no information on how long something will keep or can it be frozen; this kind of food is meant to be served as soon as it’s ready, and in generous portions. There were also Rognons de veau (veal kidneys), which I didn’t know if you’d like, to a Strawberry Bavarian made with boudoirs, which I had to ask someone what those were, since I always thought a boudoir was a woman’s salon or bedroom. They’re ladyfingers – another reason learning a language is so hard. And since I’ve made a few embarrassing blunder relating to restrooms and genitalia before around here, I decided to skip that as well. In addition to my concern about the name of this dessert, I was concerned that it wouldn’t be cooked after 1 hour at 100ºC (212ºF), which was recommended by the recipe, which seemed low for such a dense custard, baked in a water bath. So I made it a few times, including one version using sweetened condensed milk (below), since lait condensé is such a favorite in France that it’s sold in toothpaste-like tubes, often enjoyed by squeezing it directly into your mouth. It’s such a treat that they even sell “pocket” versions flavored with strawberry and vanilla, which you can carry around like Americans tote around chapstick. 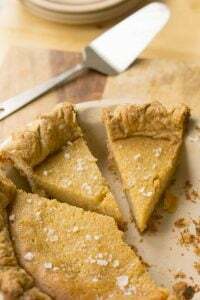 The version made with condensed milk was hard to cut and quite sweet, even though I reduced the sugar, so I stuck to my maison version, using whole milk, fresh, free-range eggs, and a vanilla bean. When all was said and done, to give my brain a rest, I went at a café and saw Flan au caramel on the menu. So perhaps I’m thinking, or more like overthinking the name, and from now on, will just focus on the dessert itself – whatever you want to call it. 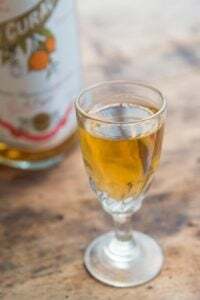 Inspired by Le Routiers: Les meilleures recettes (Tana) by Isabel LepageI made many tweaks to the original recipe, including making my own caramel, rather than using store-bought caramel. An issue that vexes people is getting all the caramel that's stuck to the pan out, after they've released the custard. One strategy is after you unmold the caramel, put the empty mold back in a hot water bath and let it stand to soften the caramel, then scrape out what you can.For further instructions and details on making caramel, check out my post, How to Make the Perfect Caramel.Vanilla happens to be quite expensive at the moment, so if you don't have beans, you can use extract. I do like seeing the little seeds of vanilla in the creme caramel, but extract will provide a similar flavor. 1. Lightly butter a 9-inch (23cm) loaf pan. Have a pan or baking dish with high sides ready, that's larger than the loaf pan, for making a bain-marie (water bath) to bake the custard in. A roasting pan or large baking dish works well. 3. 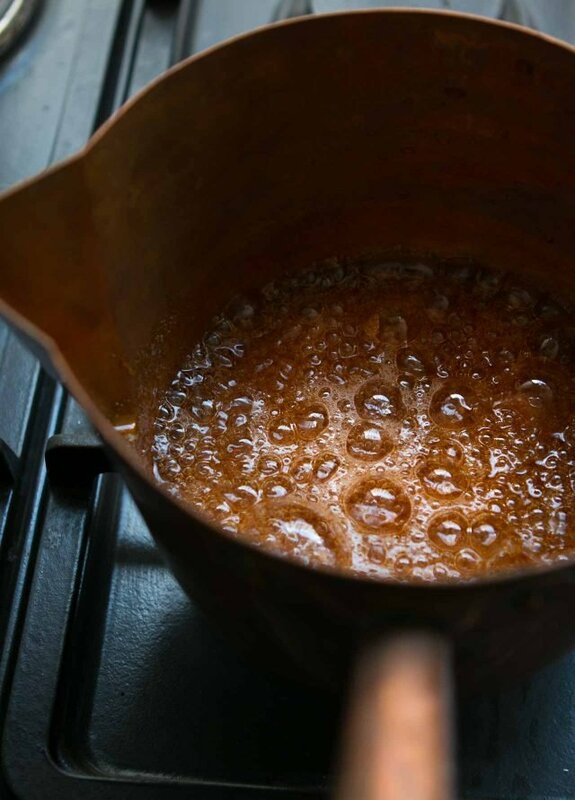 When the sugar is liquefied, and starts to turn a deep amber color and begins to smoke, remove it from the heat and pour the caramel into the buttered mold. Tilt the mold so the caramel coats the bottom evenly, being careful with the very hot caramel. Set aside to let cool. 4. Preheat the oven to 300ºF (150ºC). 5. Whisk the eggs and 2/3 cup (130g) of sugar in a large bowl. Scrape the seeds from the vanilla bean and add them to the eggs. (The vanilla pod can be reserved for another use.) Gradually add the milk to the eggs, whisking constantly as you pour. 6. When the custard mixture is well-blended, pour it into the prepared loaf pan. Place the custard-filled pan inside the larger roasting pan or baking dish, then pour very warm water into the outer pan or dish until it reaches a little more than halfway up the outside of the loaf pan. Bake the custard in the oven 1 hour, 20 minutes, uncovered, until the center feels like it's just barely set. 7. Remove the custard from the oven, and let it rest in the water bath for 30 minutes. 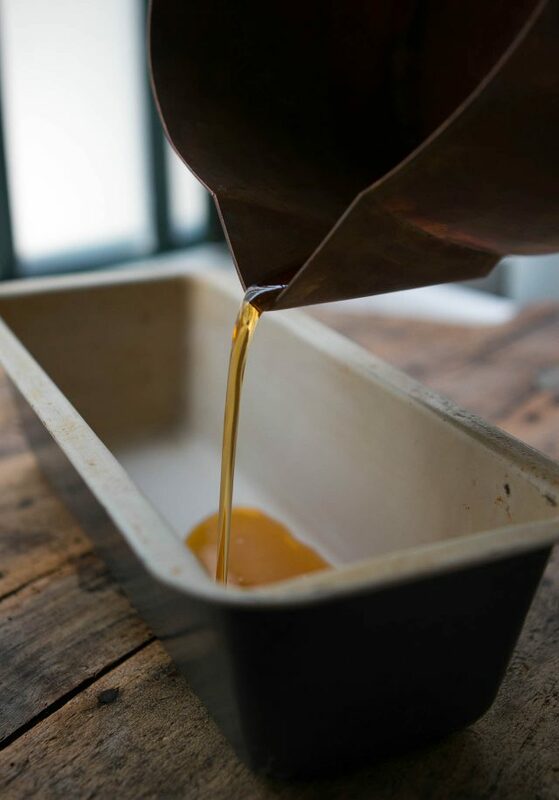 Transfer the pan with the custard in it to a cooling rack, and let cool to room temperature, then refrigerate until completely chilled, preferably overnight. To serve: Run a knife around the outside of the well-chilled custard, to help it release from the pan. Place a large serving platter upside down over the custard, then turn the platter and loaf pan of custard over simultaneously. Lift the pan from the custard and serve. 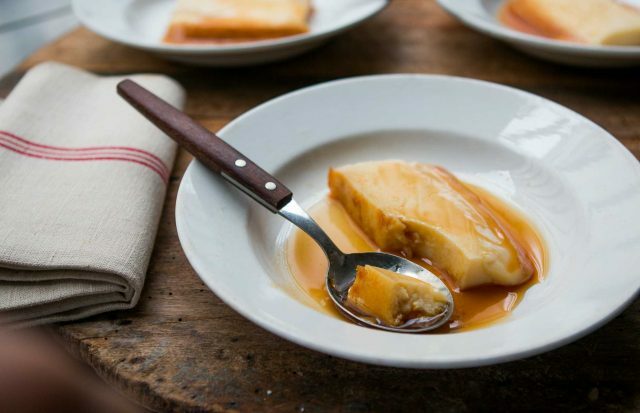 Storage: The caramel flan can be made up to four days ahead and refrigerated. 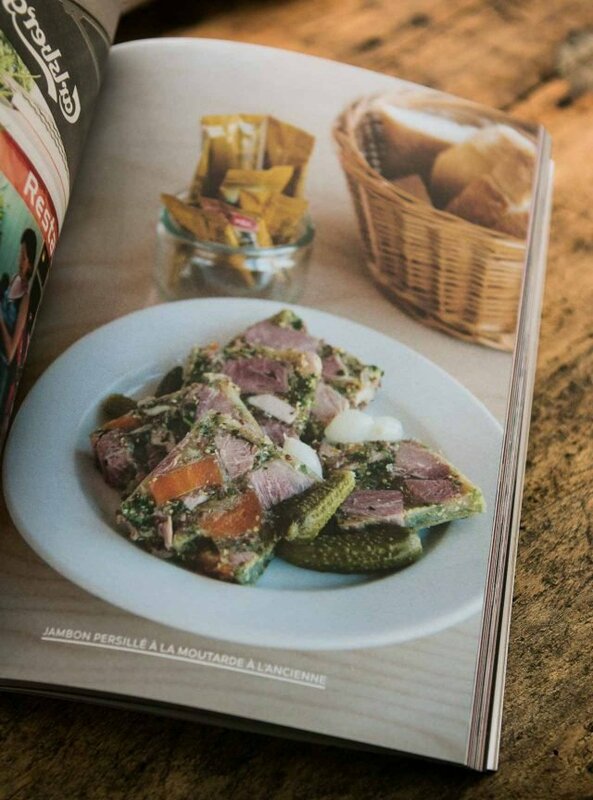 Mention of these rustic dishes, especially the jambon persillade, bring me back to hearty Sunday lunches in France. Vive la gastronomie! I want to dive into this flan. It looks so creamy and I adore anything that involves homemade caramel! Like you, I raise my eyebrows at that cup of sugar in the flan (esp. considering there is another 2/3C in the caramel). After making this a couple of times, do you think it could be cut down? I prefer my desserts to double as breakfast! Flans are forgiving, in my experience. They’re the only dessert I make without measuring anything. I taste the mixture before pouring it into the mold to see if there’s enough sugar, and add more if needed. You could probably cut it back as far as you like without affecting the texture or anything but the sweetness. When I post or publish a recipe, I’ve usually made it a few times (this one I made 3 times before posting), often testing it with different quantities of ingredients, including sugar, and I try to use the least amount of sugar that I can, but using enough so that people will like it. So I can’t say if you’ll like it, or it’ll work as well, with less sugar, but if you do give it a try let us know how it turns out. More info on Baking Ingredients and Substitutions. the flan I have been making for years has much less liquid but a similar proportion of sugar which is fine for me. 2/3 cup for 3 1/2 cups of milk is not overly sweet in my opinion. I also make mine in custard cups for individual portions which was the way I was always served creme caramel when I lived in France. I love that presentation. Is the milk heated? 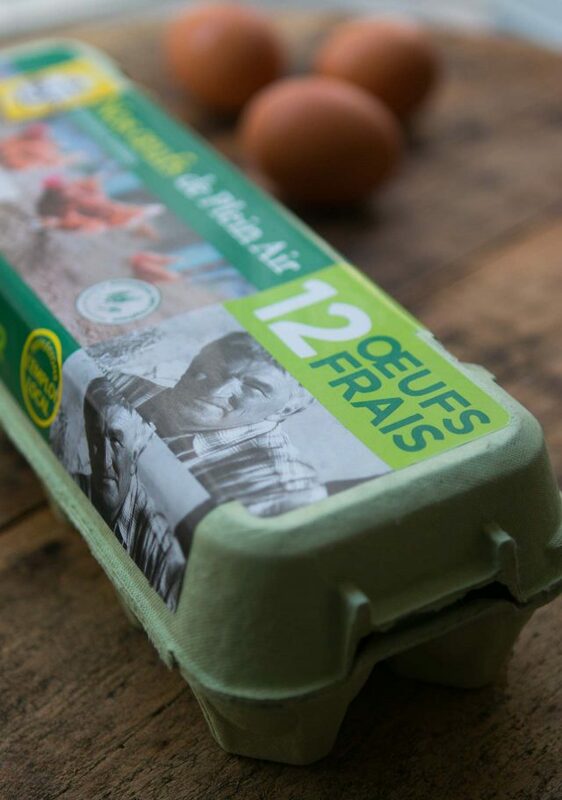 If it’s cold, why do we need to add it gradually to the eggs? The lemon juice in the caramel is interesting. Does it add flavor, or does it help prevent crystallization? The milk isn’t heated, just added right from the bottle. You could add it all at once but it’s much easier to incorporate the eggs if you add the milk gradually to them. The lemon juice is an interfering agent and does prevent crystallization. Thank you so much for this recipe. Over the summer our family had the most delightful meals at several French truck stops. I know what we’ll be making this weekend. Any chance you’ll do more press for your book in DC or did we totally miss it? 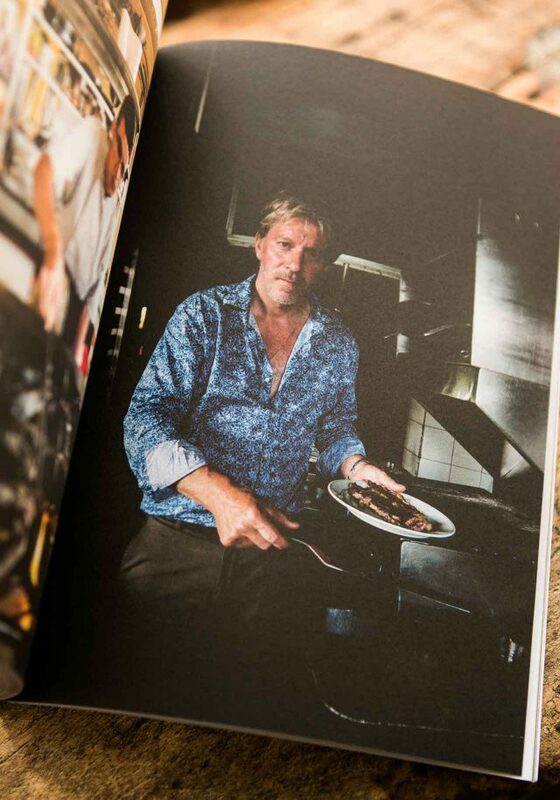 How did I not know there was a Routiers cookbook!!! Guaranteed good food. 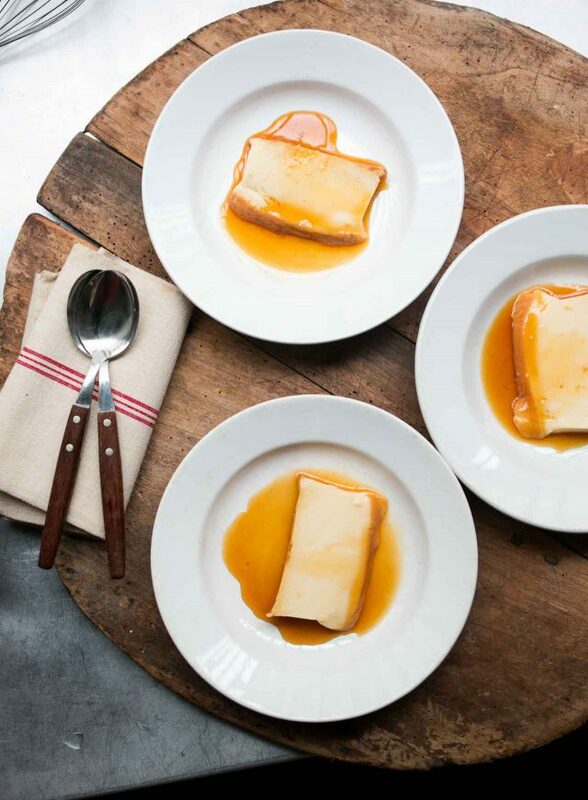 Down here in the south, crème caramel often is called crème catalan. Just to keep you on your toes. Also, there are boudoirs and a very close variant called biscuits à la cuillère. Some recipes refer to them interchangeably but they aren’t quite the same. We use routiers all the time, and deliberately take anglophone clients to them. They can be a bit scary if you don’t speak French and know how they work, but they offer a truly authentic experience that our clients are really open to and can enjoy because we are there to explain stuff. I’ll have to keep an eye out for the book. We love this sort of food. I’m heading to Paris on Sunday and will have to look for tubes of sweetened condensed milk. But maybe I shouldn’t…I just came back from Argentina where I overdosed on dulce de leche. David, in the Philippines we call it leche flan, owing to our long and deep history with Spain. 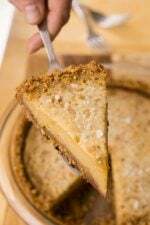 Not all homes in our country have ovens so this dessert is often made in a stovetop steamer. We cover the top of the llanera(s) with craft paper secured with a rubber band so prevent the steam from condensing over the flan. Also, we use a combination of condensed and evaporated milks as fresh milk is expensive or hard to come by. 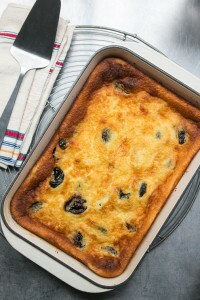 Lastly, a richer and creamier version of the flan can be had by using duck eggs. The flan turns out to be more of a deep orange-yellow when done. Love all the French dessert classics, especially crème caramel. 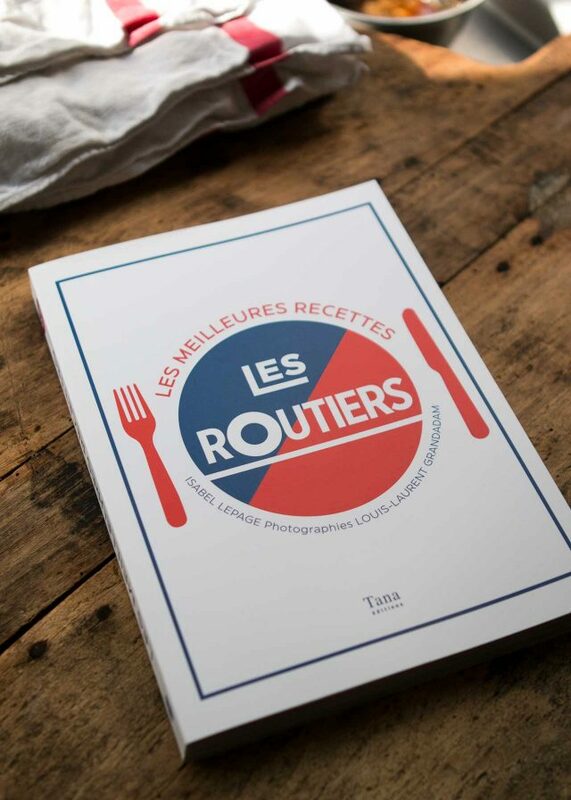 Thanks for telling us that there is a Routiers cookbook! We frequently drive around the l’hexagon and love these truck stops – good honest cooking. I’ve just ordered my own copy, thanks David! Dump everything in a blender and mix for 4 min. Put through a sieve directly into your mould already coated in caramel. Cook in a bain marie at 160 ºF (70 ºC) in the oven for around 1 hour. If you want your flan even less sweet, add 1 can of cream (fresh or tinned) to the recipe during the final minute of mixing in the blender (not before, as it might turn into butter). Believe me, they don’t come any easier or creamier than that. Sorry, I wrote it wrong: the temperature should read 160 ºC, which amounts to 320 ºF. If you do choose to use an additional can of cream, the time should be increased so that you remove the flan when the center is just set. What a gutsy book! Nice to see real people for a change. Where do you get a copy of Les routiers? Creme Caramel is my husband’s favorite dessert. 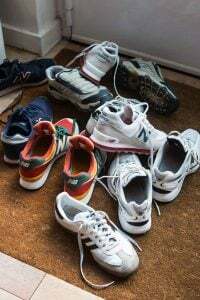 When he was growing up in Paris, his family’s housekeeper made it regularly. I make it regularly as well but I’ve never used a loaf pan!! I’m going to try your recipe this weekend and will use one of my loaf pans. But, OMG–that condensed milk in the tube!!! The first time I saw that I immediately picked it up and placed it in our grocery cart and now every time I’m in France, I buy a tube and squeeze it right into my mouth! As for veal rognons. I make them all the time in a mustard sauce. It would be great if you would share a recipe. There’s a restaurant, La Ramade, in St. Tropez that has the best kidneys ever. I order them so much that the owner doesn’t even ask me what I want to order! I make the caramel and then pour it into my bundt pan (my mom started using an Angel Food’s cake pan, and now I’ve got a “hurricane” bundt pan I love), where it cracks a bit as it cools. 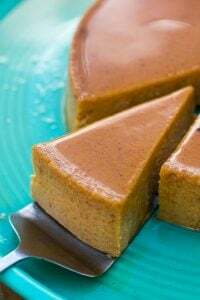 I then use the blender to combine the flan mixture–in two batches, usually, which I think whisk together in a mixing bowl to ensure a perfectly smooth mixture before I pour it in the mold. My mom makes it bain-Marie on the stovetop; I’m too lazy for that so I put my bundt pan in a casserole pan, cover the top of the mold with foil, and do the bain-Marie in the oven… takes about an hour 45 at 350F to be done! Once I’ve done the “clean knife” test, I just slide it right out of the oven, let it rest on top of the counter for about 20 minutes, and then let it chill in the fridge. Whenever I have issues unmolding, I just point a blow dryer at the mold to warm it back up and then flan pops right out into the platter. Oh, Les Routiers. What a wonderful memory of France. We ate lunch at those places whenever we found them. Not fancy, but real and delicious food. Thanks for that memory, David. I’m glad to hear the French squeeze condensed milk directly into their mouths, as that was certainly my approach on discovering them in Paris mumblesomething years ago. Discovering the tubes. Not discovering the French. Just thought I’d clear that up. Bonjour David ~ We are in Paris right now and every restaurant we have visited offer Crème Caramel as the dessert with the formula meals. We opt to pay a little more and get the Crème Brulee not knowing what Crème Caramel was (and we love Crème Brulee). Thank you for the beautiful explanation and recipe! We leave Paris tomorrow, but I think I will look for the tube of condensed milk today to take back home to California! For my entire growing up, my mother scalded the milk first. I forgot once, as I don’t use a recipe, and when it came out perfectly (and I researched) now how much easier!! Yay to the whole milk!! My family recipe. And I will add that my mother’ secret ingredient was lemon zest. It adds an amazing flavor. In Provence I had a homemade rice pudding with the same – it was amazing. I have placed fresh peaches in the flan as well, which I know is probably sacrosanct, but is really deliscious! The old “scald the milk” instructions, some say, were because milk used to have microbes that might inhibit custards from setting. So it doesn’t seem to be necessary these days, although it is easier to mix warm milk or cream into eggs, than cold. Yes, lemon zest is often nice in custards like this; I had a version in Spain that was infused with both lemon and fennel seeds, which was excellent. What is preventing the caramel from hardening and sticking to the pan? From the picture it seems the caramel was turned into a liquid syrup and not hard candy (which is what I usually get from caramel) is this because of the water-bath? It does harden when you first pour it over the bottom of the pan! But then when cooked with the custard on top, it sort of desolves and makes a syrupy sauce when you turn in out. One of the “Magic” things about flan! Thanks Sarah, it all makes sense now! I’m so burned out on quiche and egg salad! Flan is the perfect answer. I have been looking for flan recipe using whole milk rather than condensed. Thank you for your inspiration. I use a recipe from my former late father-in-law who was from Madrid. 1. Take about a half cup of sugar and heat it on the stove, stirring with a wooden spoon. When a deep caramel, pour it into the bottom of a pyrex bowl and turn the bowl to spread the sugar. 2. In blender mix 3 eggs, one can of condensed milk and fill the empty can twice with regular milk. 3. Pour that liquid onto the caramel. In a Le Creuset pot filled with water up to 1/2 height of Pyrex, simmer about 25-35 minutes. Keep an eye on the water; not too high that it goes into Pyrex (which should have a lid on it) or too low. Turn off flame when finished. When cool to touch, put flan in fridge overnight. 4. Run a knife around the edge and flip over. My husband and I ended up in a truck stop restaurant while holidaying in France. We were tired and hungry and all the other restaurants en route had just closed for their lunch shift (a hard lesson we learned from that, always reckon lunch and evening shifts!). So we could take the easy way and stop at a McDonalds, or …….. stop at a truck stop restaurant (which we initially didn’t know was one, until we stepped inside). I can honestly say that there I had one of the best steak frites ever. Simple fare, but perfectly fait a maison, in every way! So truckstop come highly recommended by me! I have traveled by car throughout the US and the concept of good food at a truck stop does not compute. We have suffered through many a sketchy sandwich, bruised fruit (if any!) and questionable hotdogs and bean burritos from a freezer dripping fluid (you’d think we’d learn!) However, what a surprise when we rented a car in France and lacking any plan for food, stopped into a routier to find gourmet sandwiches, meat carving stations, fresh breads and desserts to die for. When we recently went to Canada, NB and NS, on a motorcycle we had high hopes that the Canadian stops would be closer to the French variety. Sadly, no, but there was fresh fruit that the cashier wouldn’t touch because he thought it disrespectful to touch it after handling our money! Many fun memories here! Thank you! 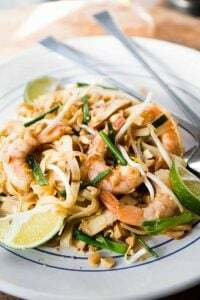 This is the first recipe I made from your site and I love it!!!! I have fond memories of boudoir biscuits (as we called them in the UK) as a child; my mother or grandmother made some kind of pudding (dessert) out of them, but not sure what, now. Something with apples, I think. Would love your recipe for rognons, please. 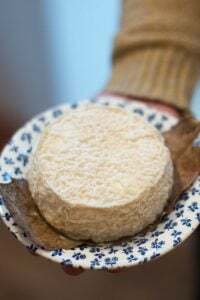 I often choose them in French restaurants, and you can buy pre-cooked rognons sauce madère in the supermarkets – I often do, when we are travelling, as it saves time cooking! But I do prefer to cook them from scratch when possible. Thanks David, please, what type of caramel can be used in cola and apple drinks? Is it wet or dry caramel? Do I have to add butter and cream? If yes what type of cream? Would love to hear from you soon, thanks. As someone mentioned earlier, we call it leche flan in the Philippines. My mom makes this in a loaf pan too just like this. But one day, she made it with a chocolate cake on bottom? and then inverted, this was when I was a kid. Here in Australia a flan is always a tart with a pastry crust and fruit on top, with or without custard underneath the fruit. The caramel custard dessert is always called Creme caramel. 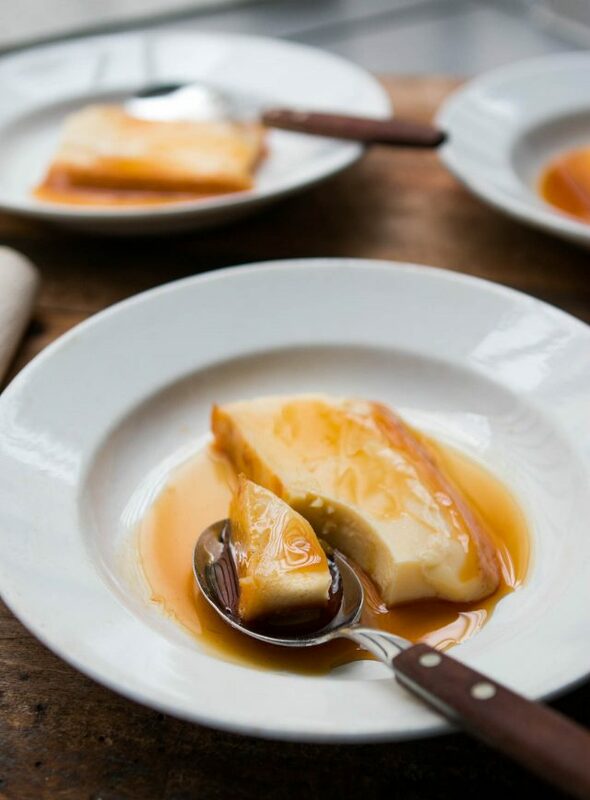 Maybe it’s because that sounds more exotic to Australian ears – flan sounds a bit like somethzing your Nan would make, whereas Creme caramel sounds luscious and rich and creamy! My french mother made this often in a fluted tin. She called it Creme Renversee. Upside down cream. I’m going to make it now. Thank you, David, for all your wonderful posts. Next step: Oeufs au lait… The epitomy of French custard. Look for it.